Okkervil River have been on the folk rock scene since 1998 when they self-released their first EP, Bedroom. Ever since then, the Austin-based group have been churning out project after project, with their most recent being their eighth (!!!) full-length album, Away. With thoughtful, intellectual lyrics and complex instrumentation, the fivesome’s music shows off their talent with ease. Away, was written by singer-songwriter, Will Sheff, after each of his bandmates left to pursue other projects. Instead of letting go of the band, Sheff took the emotions he was feeling at a rough time in his life, found new members to help broaden his horizons, and created something both artistic and completely unique. With an album full of standouts, it’s hard to pick a favorite, but “Call Yourself Renee” and “Judey On a Street” are definitely not tracks to be missed. 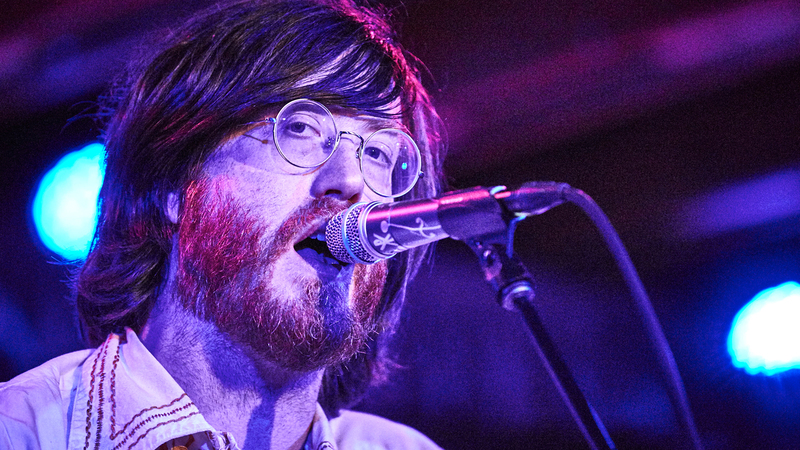 We were lucky enough to see Okkervil River live in Phoenix, and we won’t forget their incredible performance any time soon. Check out our photo gallery below and be sure to track the "Westfall" crooners on Bandsintown, because this is one group you won’t want to miss live.